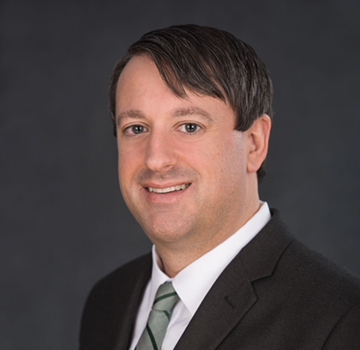 Jeffrey Schwab is a Senior Attorney at the Liberty Justice Center, where he litigates cases to protect the rights to free speech, economic liberty, private property and other Constitutional rights in both federal and state courts in Illinois. Prior to joining the Liberty Justice Center in September 2014, Jeffrey practiced law at a small firm in downtown Chicago, where he had a broad practice that included real estate and zoning, contract disputes, small business litigation, consumer litigation, and bankruptcy. Additionally, Jeffrey’s practice included constitutional law, litigating cases pursuant to the First Amendment’s Free Speech and Free Exercise Clauses and under the Religious Land Use and Institutionalized Persons Act (RLUIPA). Jeffrey received his B.S. in Business Management from Grove City College and his J.D. from the University of Michigan Law School. Jeffrey is admitted to practice in state and federal courts in Illinois.